Your first period could be a crystal ball into the future of your health. Researchers may have linked your launch into womanhood to a number of chronic medical risks, from diabetes to cancer. Predicting future health problems can certainly be hard for women. The hormonal changes, aging, and pregnancy can play serious games with both your physical and mental wellbeing. Do you remember your first period? You most likely do. This pivotal time in a woman’s life may be the secret to many of your wellness questions. Researchers at Mount Sinai Hospital in New York believe that the first period connection could have something to do with your weight and age at the time of menstruation. What are you at risk for when thinking back to your first menstruation? Preeclampsia is a serious pregnancy condition related to high blood pressure. It also increases your risk for stroke post pregnancy too. If you had your first period before 12 years of age your risk for preeclampsia during pregnancy is 28 percent higher, according to research. Heart disease is the leading cause of death among American adults. Did you know that one in four deaths are connected to heart disease? But you may be able to mitigate your heart disease risk depending on your first period. If you had your first menstruation at the age of 10 or younger, you are 27 percent more likely to have heart disease than women who had their first menstruation at age 13. Did you know that thyroid cancer is three times more likely to be diagnosed in women than in men? This makes mitigating your thyroid cancer risk a priority, and you can start with your first period. A study published in the American Journal of Epidemiology found that an early period could increase your risk for thyroid cancer. Type 2 Diabetes is another serious health concern women can’t afford to take lightly. But your first period may be a good indicator for your diabetes risk. 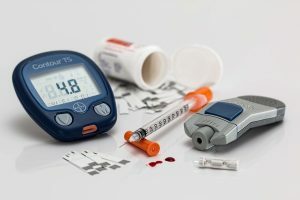 A study involving 4,600 women, published in Diabetic Medicine, found that an early first menstruation was a significant risk factor for diabetes later in life. Allergies are certainly no fun for women, especially if allergies result in uncontrollable skin rashes. 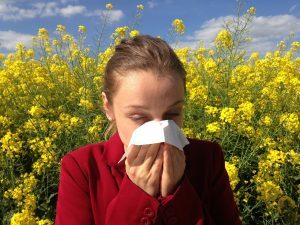 Did you know that women are more prone to allergies than men? Your allergies could be in some way connected to your period. Research has found that early menstruation beginning at the age of 10 or younger increases your risk for rhinoconjunctivitis, eczema, and asthma. Who knew your first period could tell you so much about your health? Think back and make note of the above serious medical issues you may be at increased risk for. This will allow you to take action for a healthier future. 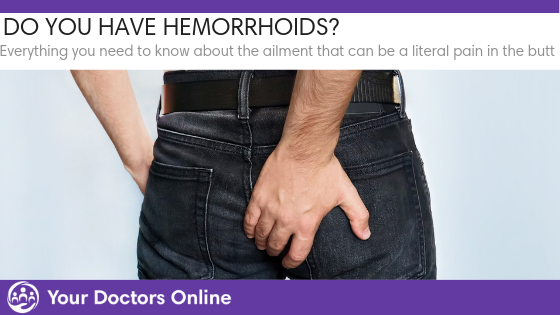 You should talk to a doctor and discuss your options and make a plan today.